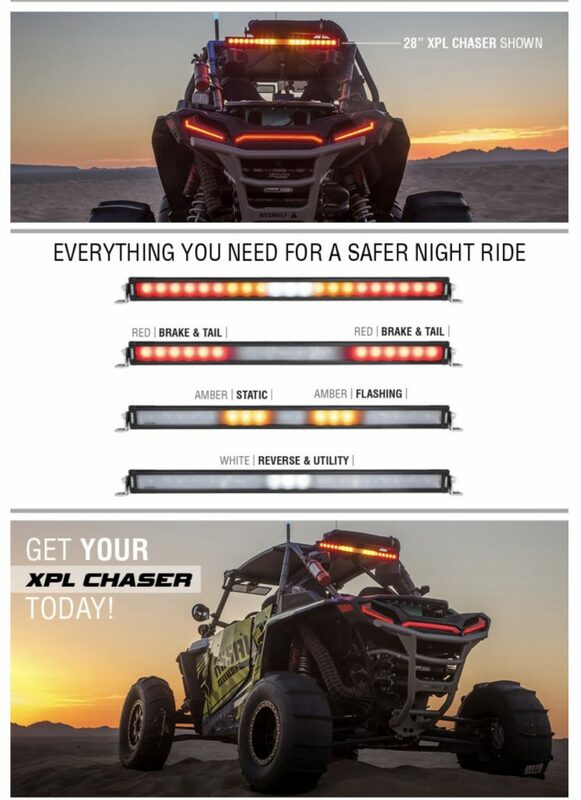 The all-new XPL Chaser Series LED Bars with integrated static/flashing Amber, Red Brake/Tail lights, and reverse/utility light are the pinnacle of chase light performance & value in its category. 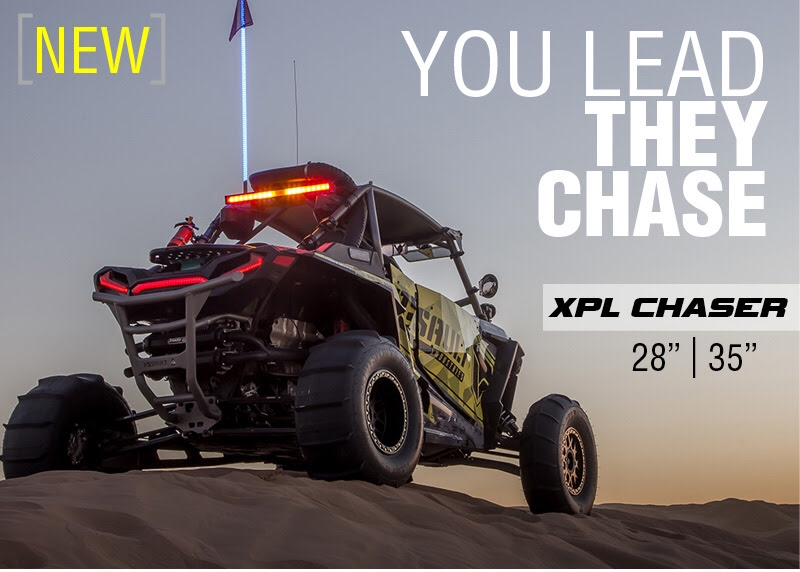 XPL Chasers are available in 28” and 35” models, and will improve safety and others following during the day or night, including dust or fog conditions. Need more light when reversing or to see in the bed of the vehicle? No problem the center white light has you covered. Driving in a wet and dusty environment? No problem. 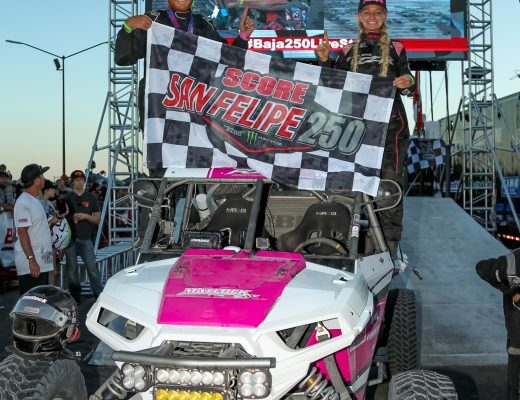 Each XPL Chaser LED Light bar is IP-67/69K rated with a Nitto-Denko pressure release valve and simple wiring instructions. Rest assured the XPL Chaser build-quality and Lifetime Limited Warranty will let you shine wherever you go for many years to come. Pricing for the 28” model is $369, while the 35” is $429.